This project has become so popular that I decided to give it its own home: SQLWATCH.IO. Thank you #SQLFamily! I often help improve the performance of a SQL Server or an application. 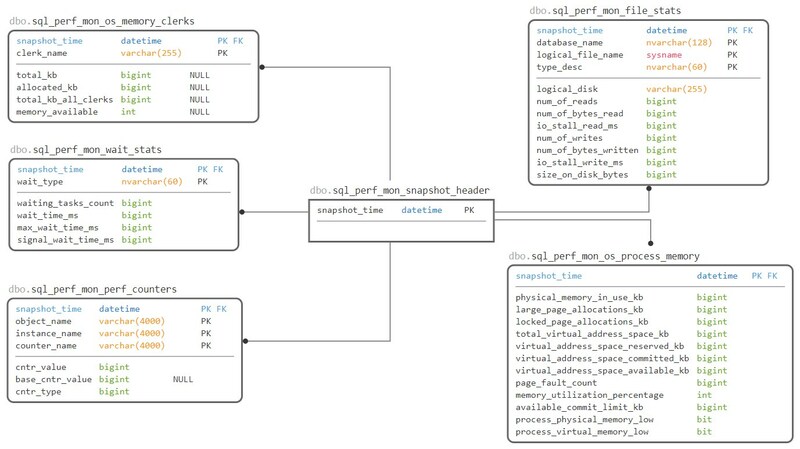 Performance metrics in SQL Server are exposed via Dynamic Management Views (DMVs). However, DMVs only provide a view of the current state and no history. This is important as it makes it particularly difficult to draw a bigger picture of how the system is behaving over time and what problems are occurring during overnight batch processing or during peak operational times, for example when users log in to the system at 8 am or when they leave for lunch at 1 pm. The built-in Windows Performance Monitor can be used to record performance data over time and it’s great at it but not really designed for long runs and also can be quite difficult to read and analyse data. To address this deficiency I have built a simple yet comprehensive SQL Server Performance Dashboard in PowerBI. PowerBI Desktop is a free data visualisation and analytics tool from Microsoft. You can download a free copy from their website: https://powerbi.microsoft.com/en-us/. 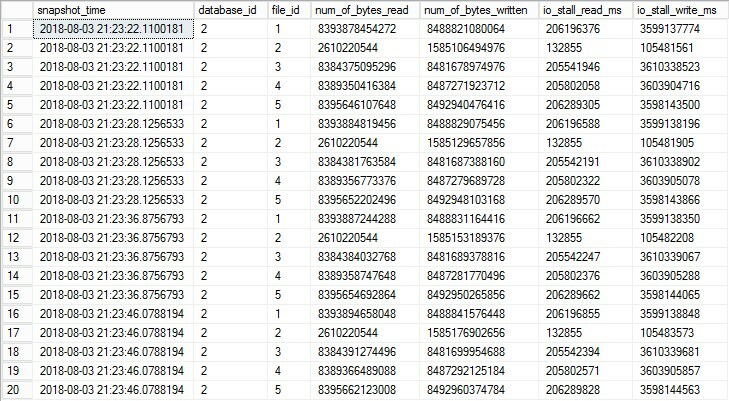 As mentioned above, SQL Server does not provide historical performance data so we have to collect and store it somewhere. and store output in physical tables in a user database. I suggest a dedicated “DBA” database. In order to provide consistent correlation point and time dimension, I am using a header table. dbo.sql_perf_mon_server server name so we can show it in the text box. I tried not to reference system objects i.e. @@SERVERNAME from PowerBI so we can grant read-only permissions to a wider audience. 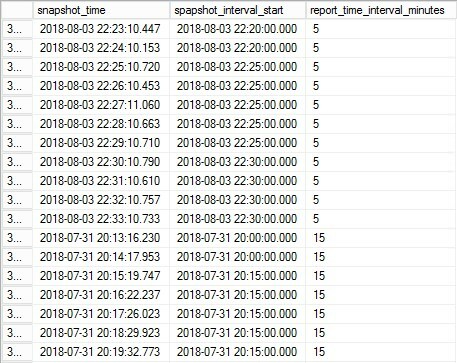 dbo.sql_perf_mon_config_report_time_interval available time intervals. By default, there are two: 5 and 15 minutes. This is NOT how often data is collected – read below what this means. 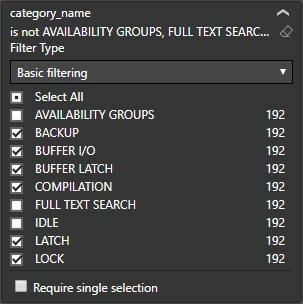 dbo.sql_perf_mon_config_wait_stats list of popular waits with their category as categorised by Microsoft. The collection is invoked by running stored procedure via SQL Agent Job every 1 minute with 12 seconds offset to avoid clashing with other jobs starting at the full minute. The performance overhead of data logging is very low although overall performance will depend on the retention period. By default, the retention job is set to delete anything older than 7 days. cumulative – constantly increasing value since the server restart. For example wait stats. point-in-time – current value at a time of querying DMV. For example Current Connections. The point in time metrics are easy and we do not have to do much with them. However for the cumulative values in order to present over a period of time we have to calculate the difference (delta) between two cumulative snapshots. Notice there is only 15 rows vs original 20 (5 data files captured 4 times = 20 total rows). This is because there is nothing to subtract the last snapshot from. Ok, great but this calculates the delta between all snapshots which will create a lot of data points for reports covering longer time periods. So how are going to calculate deltas over 5 or 15 minutes periods? We will have to create a dimension-like view with the time periods we need. To make this even more interesting we want this view to be flexible and show different time-spans. Let’s focus on the subquery used in join which utilises cross apply. Power BI is relatively easy to use yet powerful which can have it’s consequences when it comes to performance. IT offers two ways of getting data: Import and Direct Query. In short, import “downloads” all the data into the report and Direct Query does not. The benefit of the import is that we can download once and slice and dice it without querying the database. Another benefit is that because data is within the report itself, we can email it to someone who does not have access to the database (this is a bad idea if one is not supposed to have access to the data one way or another). ReportIntervalMinutes – as described above, the snapshot interval. Either 5 or 15 minutes. ReportAgeHours – How far back does it go from EndTime. EndTime – Either custom date i.e. ‘2018-08-01’ or GETDATE() — notice the quotes around date and no quotes around GETDATE(). In the example below the report will pull data from 16 hours ago to now. If we wanted to see data for yesterday we would have to change EndTime to relevant date/time. You will notice that continuous measures, such as CPU and Activity are shown as area charts and those that can have gaps, for example, wait statistics are shown as bar charts. This is because line charts aren’t very good at plotting data series with gaps whereas bar charts do not require such continuity. 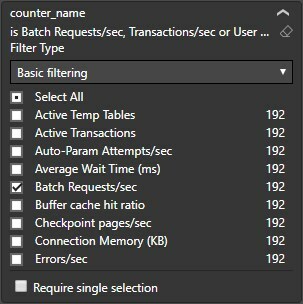 Please refer to this great Performance counter poster from Quest Software: https://github.com/marcingminski/sql-performance-monitor/blob/master/SQLServer-Performance-Poster.pdf to learn more about which counters are worth attention. Simply execute the setup script which will create all necessary objects and jobs. To uninstall execute uninstall script which will remove it all including history tables so you will lose it all. 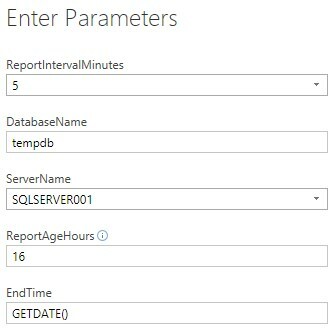 When SQL Server is restarted performance data is reset and my report will show negative values as the delta will be negative. There is a way around it to check if the second snapshot’s value is greater than first’s and if not show 0. I will implement this in the next release. 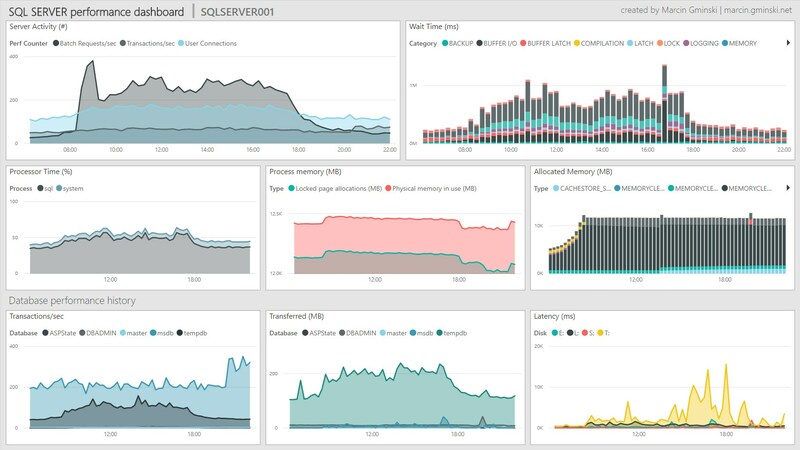 If you would like to be notified about future releases and updates to SQL Server Performance Dashboard please subscribe to my blog.